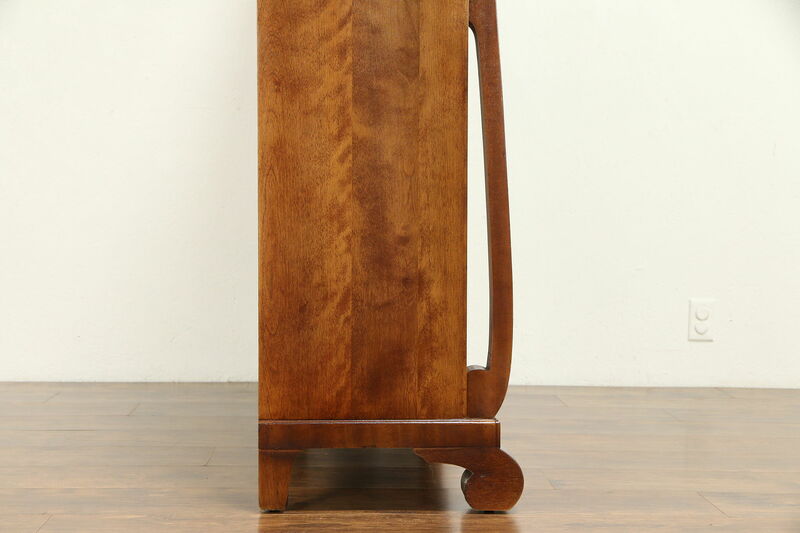 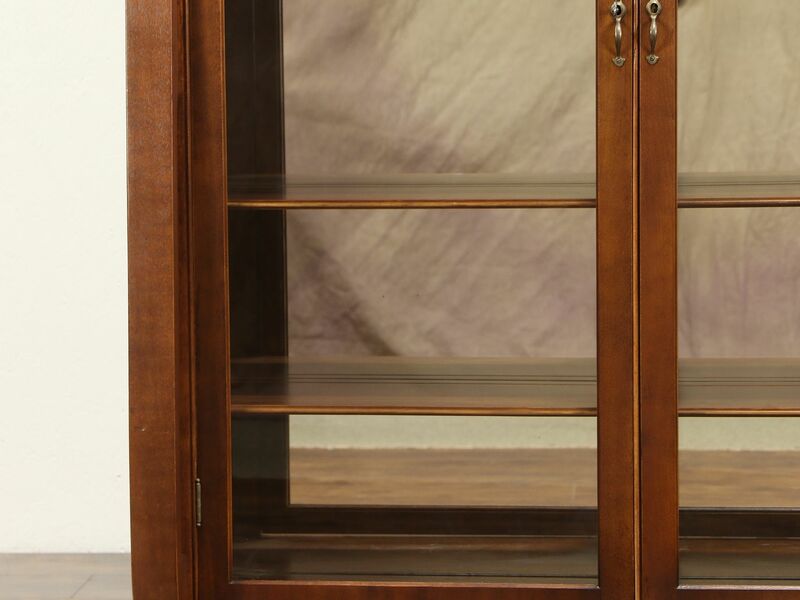 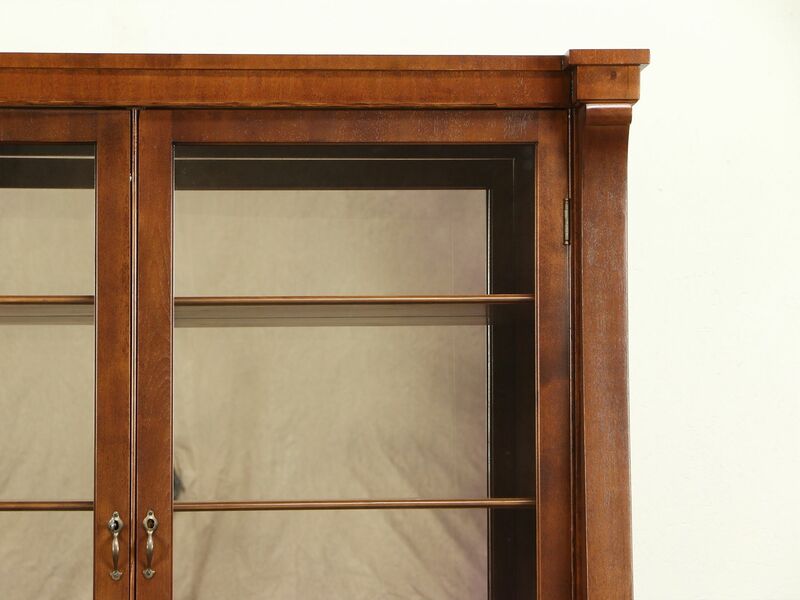 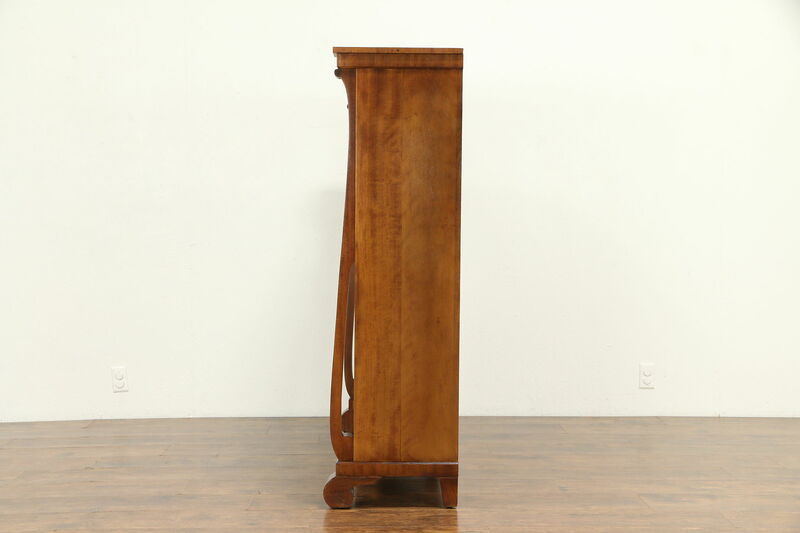 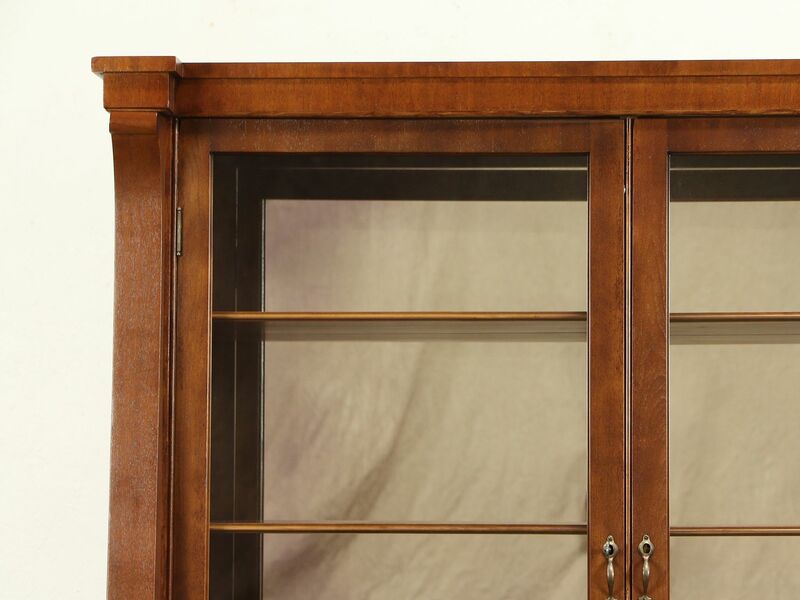 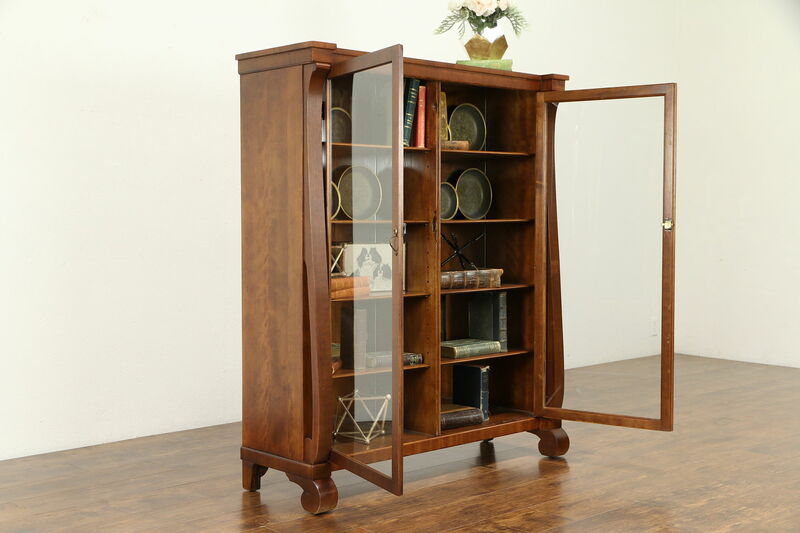 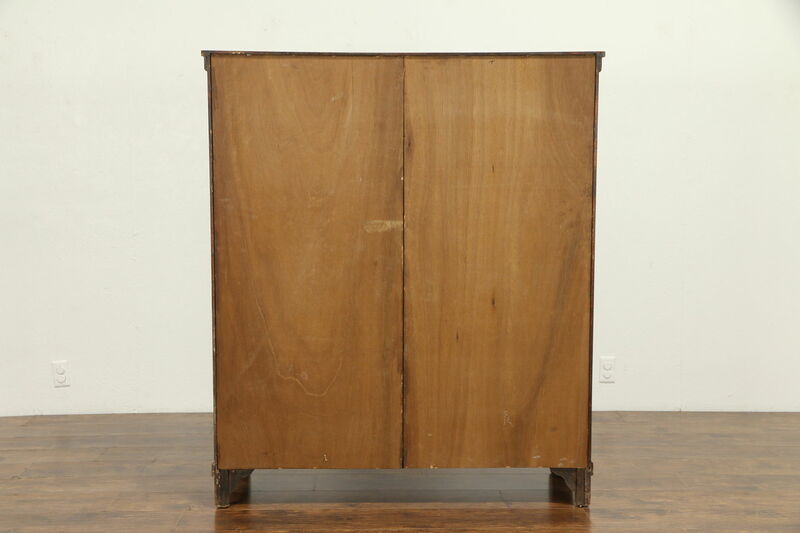 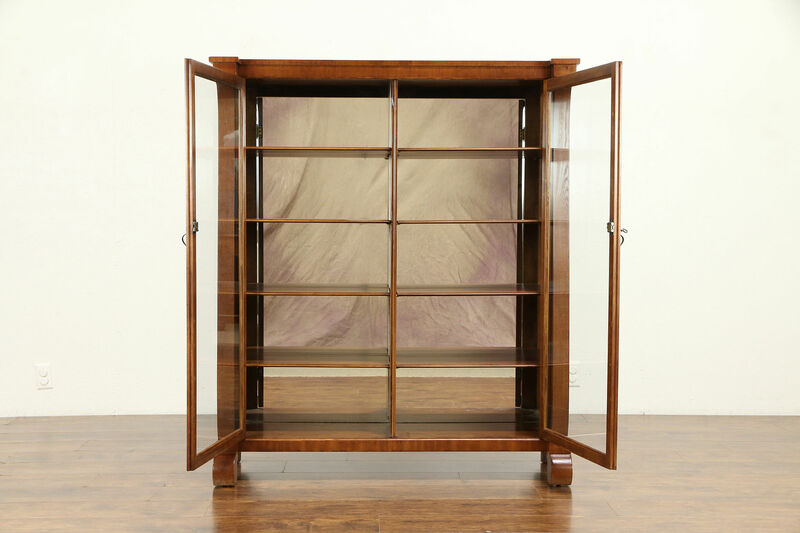 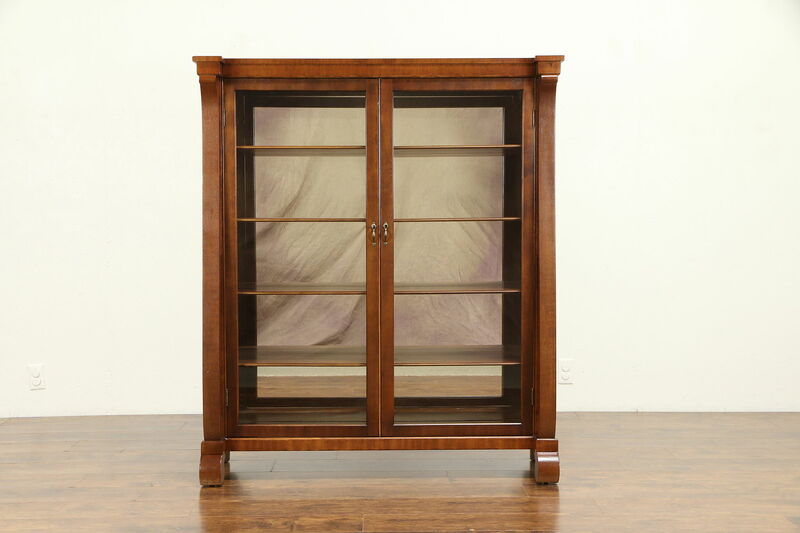 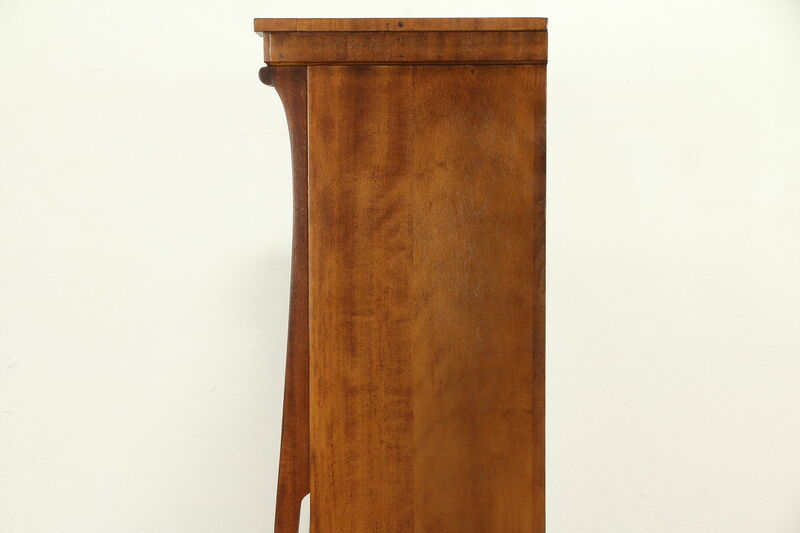 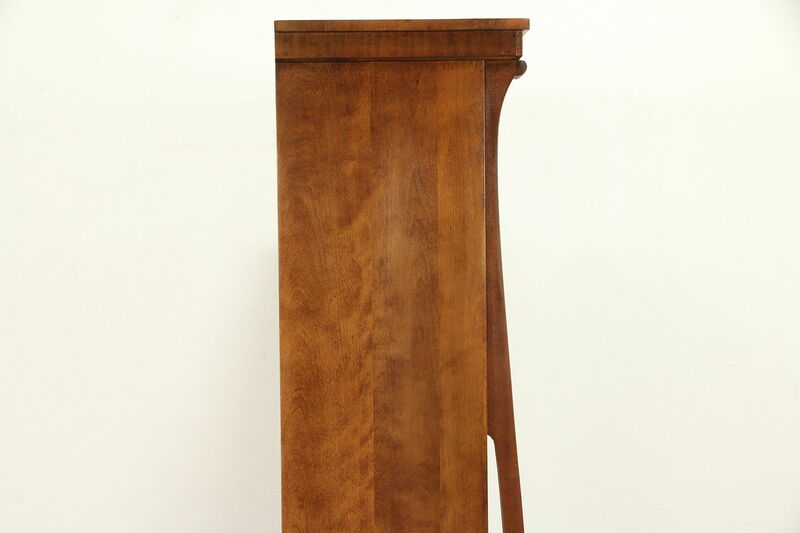 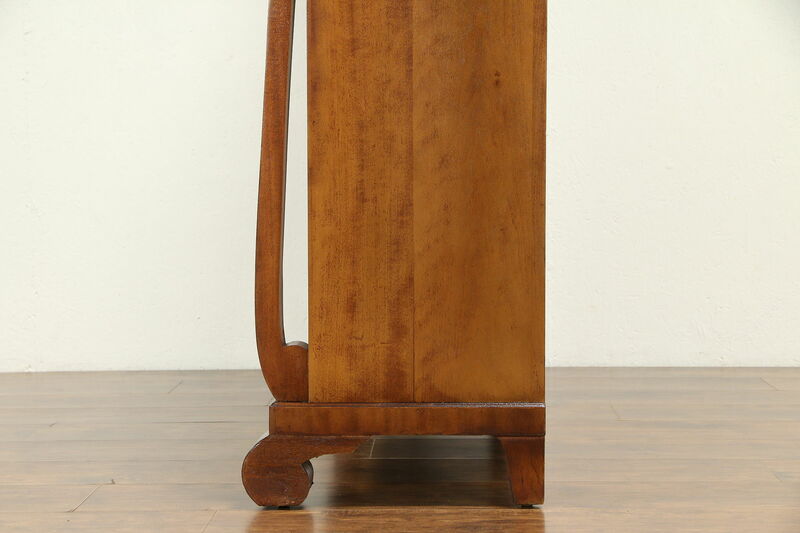 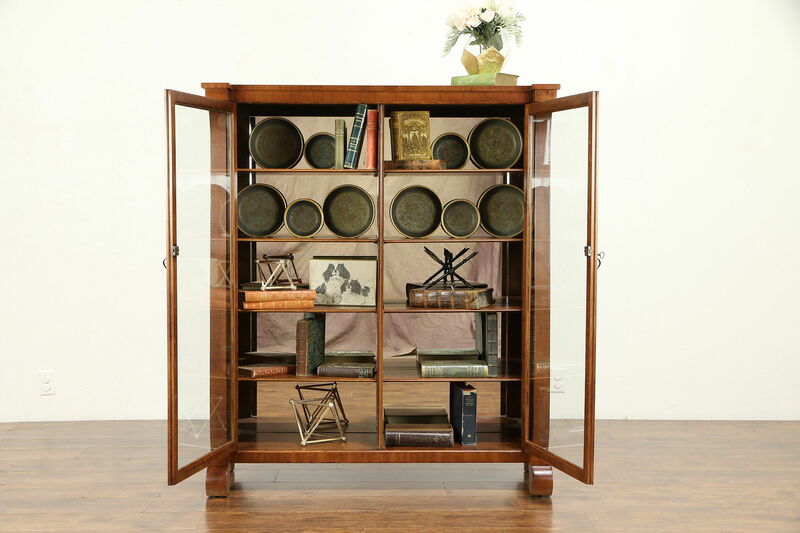 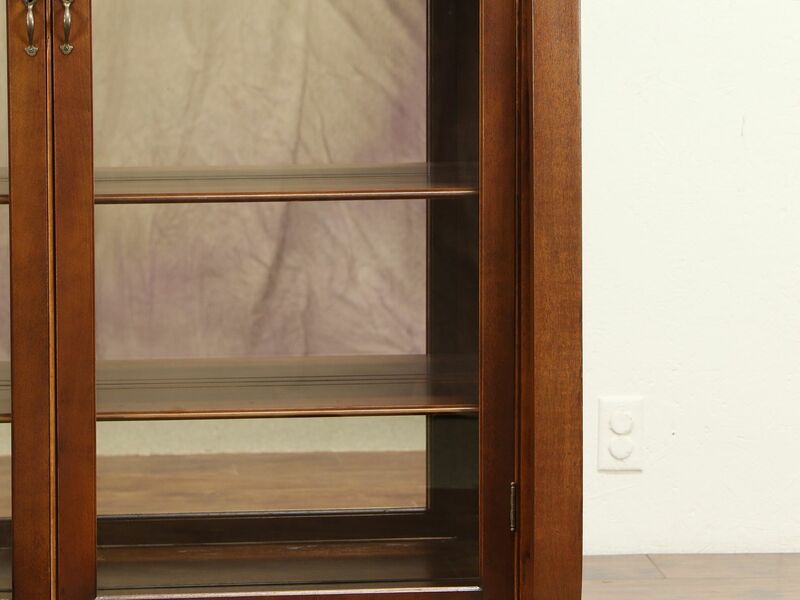 An Empire bookcase or curio display cabinet is mahogany and birch from about 1910, and has a later mirrored back inside. 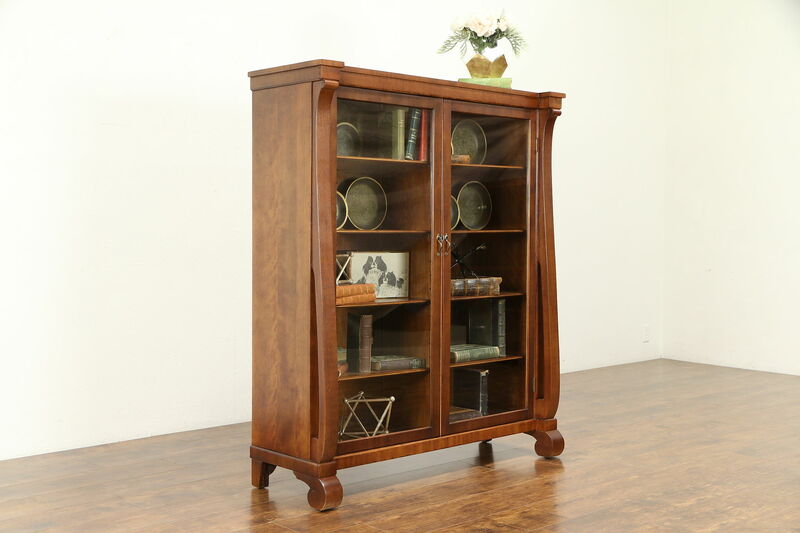 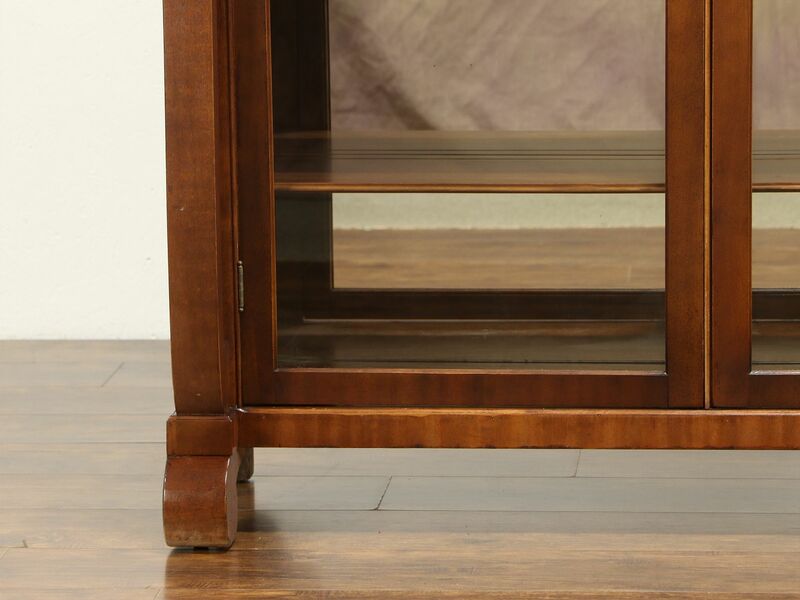 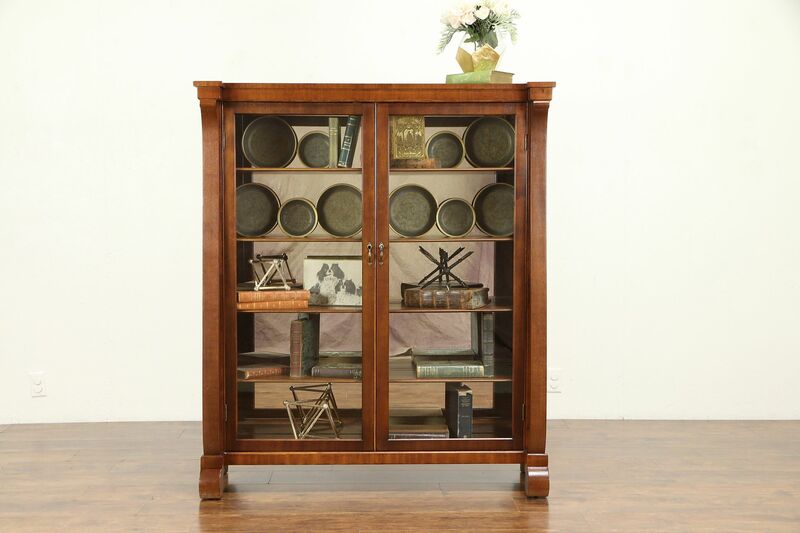 The restored finish is in excellent condition on this American made antique library furniture. 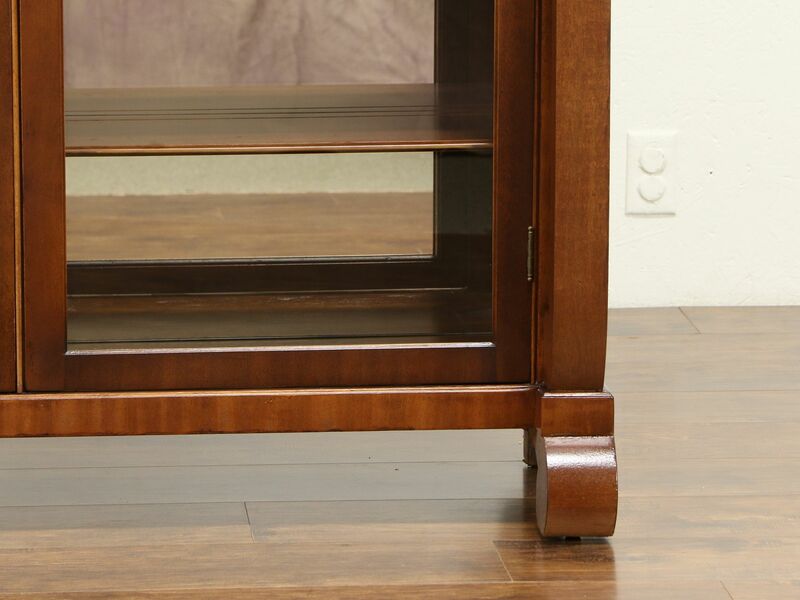 Doors have working locks, two separate banks of shelves are adjustable. 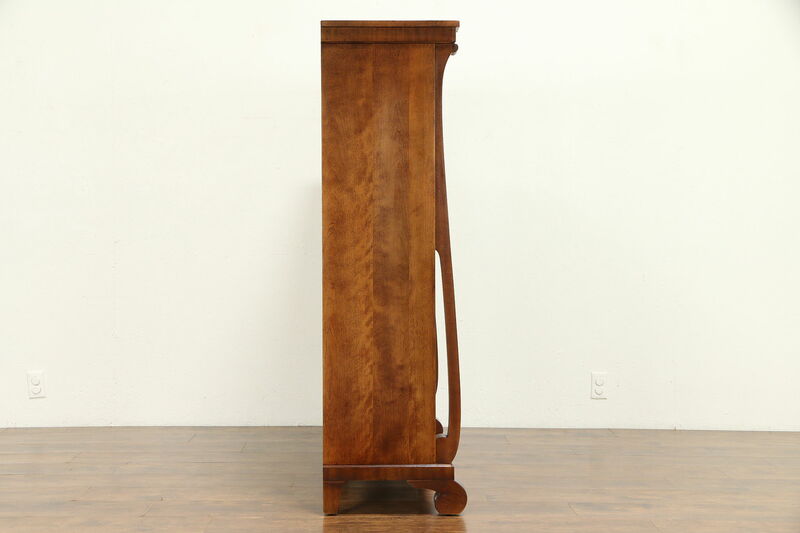 Dimensions are 49 1/2" wide, 17" deep and 58" tall.